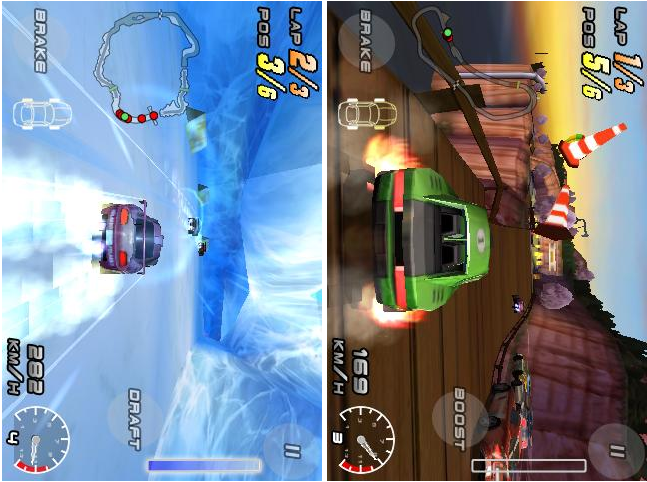 Are you ready to take on the most adrenaline pumping 3D street racer ever on a handheld platform? Raging Thunder 2 will take you through abandoned temples, tropical beaches, snow-covered mountains, the Great Wall and a range of other breathtaking vistas the world over! Buy new cars to upgrade and balance until you have the ultimate ride then take it online to punish your opponents wherever they might be, or play an intense round of Survival, Time Attack or any other of the 5 single player game modes. Buckle up and get ready to take it to the streets in this seminal sequel to Polarbits award-winning Raging Thunder.